Hello there and HAPPY MONDAY !! ! I never got round to blogging yesterday as the jobs around the house culminated with me deciding I wanted to paint our mantelpiece. I don’t have a lot of time to decorate my home so I take a bit of time here and there and do as much as I can when time allows. I also swapped the Summer throws with cozy Winter ones and those small changes made quite a difference :). Could do with a free day to sew some curtains, that’s what’s next on the to do list. But enough of that, TODAY IS THE DAY !! 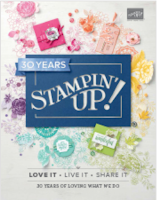 the start of the fabulous recruiting offer from Stampin’Up! WANT TO SAVE MONEY on all your crafting needs? WANT TO EARN SOME EXTRA MONEY while setting your own work hours? WANT TO MAKE FRIENDS and interact with like minded people sharing the same passion as you? WANT TO FIND OUT ABOUT NEW PRODUCTS ahead of everyone else? WANT TO BUILD A CAREER and make crafting your job? Then join my team of Passionettes for this great deal and get stuck in !!! There are so many more benefits to being a demonstrator and I AM SURE you will love your journey just as much as I do. There is not doubt what makes this direct sale company different then any other is the focus on people. I made so many friends on my journey so far and I look forward to making many more that is hands down the highlight of my job. I am a people person and I would love nothing better than to welcome you to our fun team and help you start your own fun filled adventure :). If you want more information about it just READ HERE. Contact me today and let’s have a no obligation chat about you joining. I am around today putting together WELCOME PAKS and would welcome a message from you.